Tremaine Baker joined Middlesex University in September 2014, having previously been a teacher in a mainstream secondary school since September 2002. 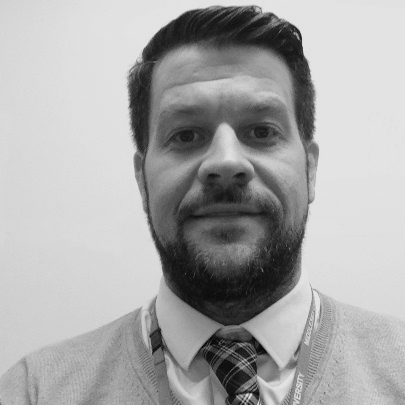 During this time he led a series of whole school initiatives and supported the development of educational excellence across Essex in his roles as an Advanced Skills Teacher and a Specialist Leader of Education. Central to this was the provision of teacher training and the development of a blended learning approach to initial teacher education which utilised online training modules and open-source learning platforms, alongside the traditional and personal support given to trainees to support their development. In this time he was responsible for developing a series of on-line subject pedagogy sessions which were designed to support School Direct trainees on employment-based teacher training routes. Since joining Middlesex University he has been responsible for expanding the school-based training offered in partnership schools on the School Direct Route. He has also published a book which presents a range of strategies, well grounded in research, for trainees and beginning teachers to use in their own classroom settings and contexts. Engaged in research about trainee perceptions of target setting, and their role in the development of trainee teachers. Delivering a paper to the TEAN conference in May 2017 on “Targets and Evidence in Teacher Education: Solely assessment and accountability or do they play a genuine educational purpose?” He has also recently published a book which presents a range of strategies, well grounded in research, for trainees and beginning teachers to use in their own classroom settings and contexts. Currently looking at target setting and the role of the mentor in teacher education as a focus for his doctoral level study. Targets and evidence in teacher education: solely for assessment and accountability or do they serve a genuine educational purpose?